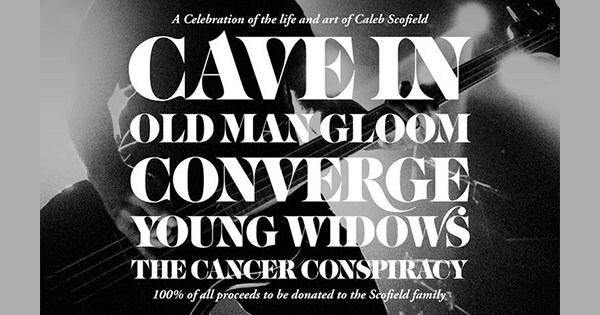 Cave In will team up with Converge, Old Man Gloom, Young Widows, and The Cancer Conspiracy late this spring for a special show to celebrate "the life and art" of Caleb Scofield. The event will take place on June 13 at the Royale in Boston, MA, and all proceeds will be donated to the Scofield family. You can obtain tickets here.